When our family-owned business Duratain Inc. launched Duratain™Protective Coatings for Recreational Vehicles in 1988 it became clear that we needed to create a line of exceptional products to “Clean the Beast™” before installation. 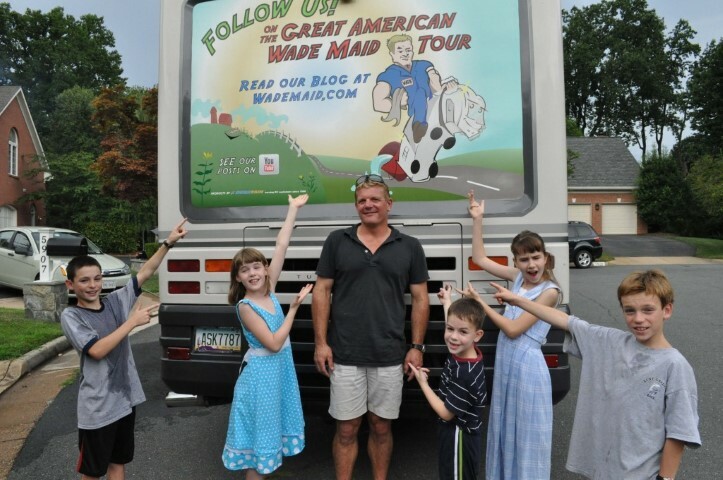 Wade Maid® products were born, and our brand is the only one in the market specifically formulated to clean all surfaces of an RV. We believe that our products are by far the best because of the specialized formulation specific to RV’s only. No other manufacturer can make this claim. Our Polishes, Waxes and Cleaners are Ultra Concentrated and only made with quality ingredients so that they last longer to help you easily maintain your RV with less expense. You could say that formulating coatings and loving the RV lifestyle are in Wade’s blood. When Apollo 1 blew up in January of 1967 with 3 astronauts aboard Wade’s G randfather, a Chemical Engineer with Boeing/NASA and WWII Vet, was part of a team that investigated the crash and discovered that the coating had failed. They created a new coating, and Neil Armstrong took his first footsteps on the moon in 1969. Wade’s Father worked in RV Customer Service which exposed Wade early on to thisdynamic lifestyle industry. Wade is the company’s Chief Formulator, and his goal is for Wade Maid® to continue to offer the most innovative and highest quality Polishes, Waxes and Cleaners available for RVs. Duratain™ Protective Coatings were developed to help RV owners Preserve and Protect their investment. Made in the USA Duratain™ Manufactures, Installs and Services all of our Protective Coatings. We stand behind our brand with an exceptional 5/10 Underwritten Warranty. Our Coatings are available nationally at RV Dealers. Whether you own a Travel Trailer, Pop-Up Trailer, Truck Camper, Toy Hauler, Fifth Wheeler or Class A, B or C Motorhome Wade Maid® offers an outstanding line of RV Polishes, Waxes and Cleaners to help you maintain your Beast with ease. At Wade Maid® we are passionate about having a good time as we help others and bring smiles to our customer’s faces.